Some of the latest editions of sports and fitness supplements such as Stemulite Fitness Formula also contribute to the overall wellness and sense of well-being for athletes, on-the-go professionals and anyone wanting to get more from their workouts and exercise programs. 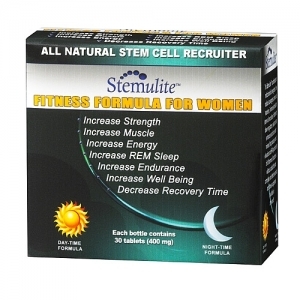 Stemulite Fitness Formula is all natural, drug free and contains no harmful additives. And it’s being discovered ingredients such as s eggplant extract, indium, A-Lipoic Acid, and Melatonin found in Stemulite, aids in reduced stress levels, deeper, more restful sleep and improved memory and concentration. In addition, increased energy levels mean a more active lifestyle that further improves overall wellness. This new breed of fitness supplements are designed to work in harmony with the body, gently aiding in the overall health and well-being of athletes and non athletes alike. One of the main causes of stress, health problems and an overall loss of general wellness is the lack of getting a good night’s sleep on a regular basis. 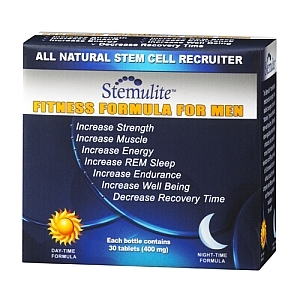 New wellness formulas like Stemulite Fitness Formula contain Melatonin which is widely accepted as a safe and effective sleep aid. Perhaps it’s not accurate to call it a sleep “aid,” but rather an ingredient that encourages the body’s natural sleep patterns. Top performing professionals such as law enforcement, security, traffic controllers and those who have a job that requires them to remain fit and alert at all times are now recognizing the health benefits of a wellness supplement such as Stemulite. They are finding that being able to remain healthy and keep their stress levels low on the job means they can be at their best, especially during stressful and critical conditions. Perhaps the best benefit of using a wellness supplement such as Stemulite Fitness Formula is a state of improved overall health and well-being—something that everyone can enjoy. Traditional sports supplements of just a few years ago not only offered no guarantee of natural and safe ingredients, but actually had an adverse effect on the health of the user. Making Stemulite, all natural fitness supplements a part of your daily workouts and active lifestyle now means that you can enjoy their wellness benefits. Please let us know what you think or ask a question by commenting below. We look forward to hearing from as many of you as possible! Post by Stemulite Fitness Formula. Wellness is a state of optimal well-being that is oriented toward maximizing an individual's potential. People go to gyms to get healthy, but too often they may also be getting robbed.